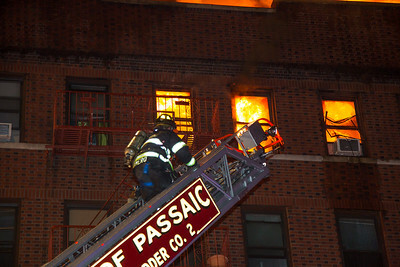 At just after 20:30 hours on October 21st, the Passaic NJ Fire Dept received calls for an apartment fire at 280 Gregory Ave. A very large 5 story class 3 multiple dwelling. 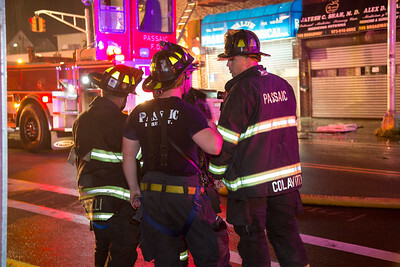 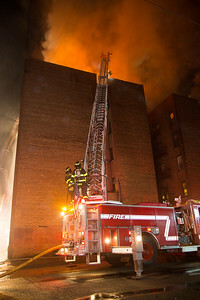 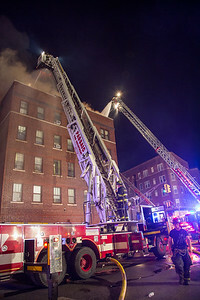 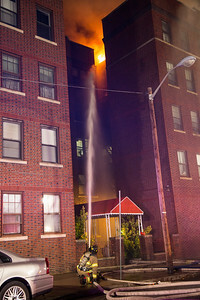 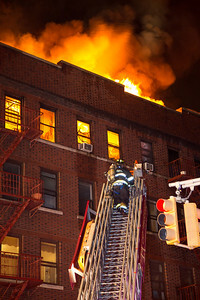 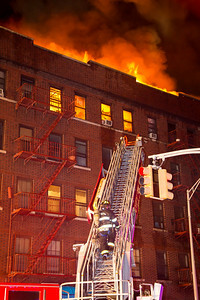 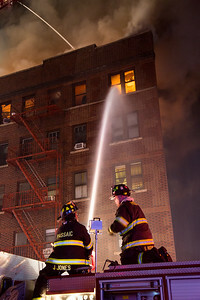 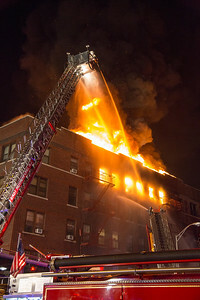 Upon arrival of the 1st arriving company a 2nd alarm was requested due to heavy fire on the top floor and already through the roof, as the truck companies vented and performed numerous evacuations and rescues of occupants, the building is reported to have 80+ apartments and was home to @400 people, the engine companies established water supply and stretched hand lines into the building to attack the fire. 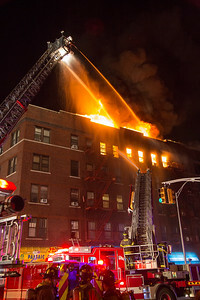 With several lines in operation the fire continued to spread, command requested an urgent 3rd alarm and with companies making no headway, sounded the evacuation order. 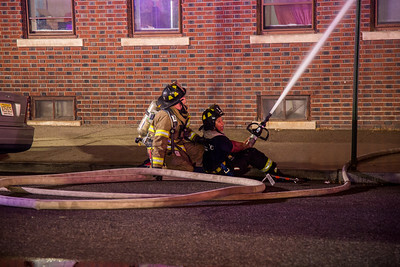 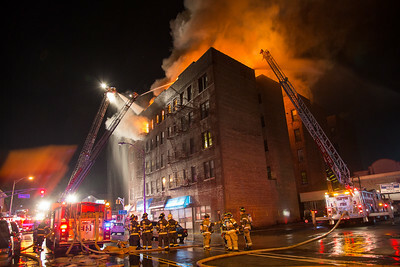 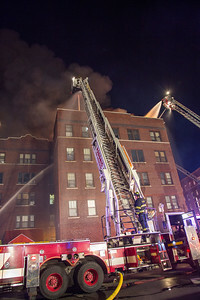 The fire went to 8 alarms bringing over 26 fire companies from at least 12 towns to the scene. 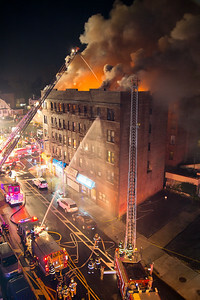 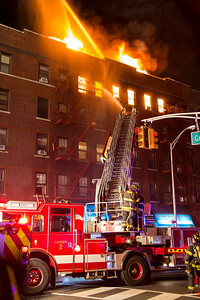 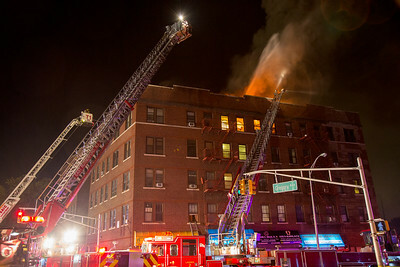 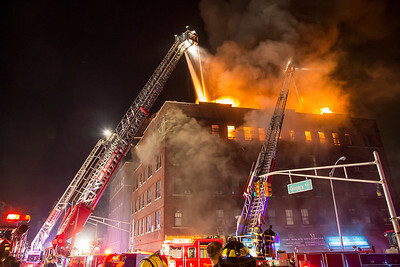 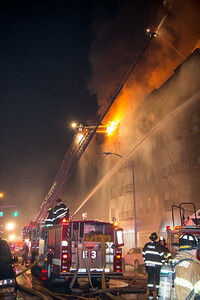 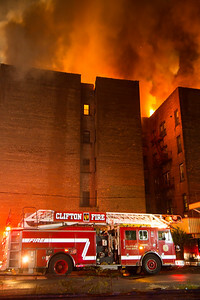 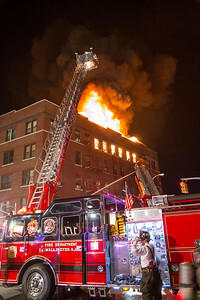 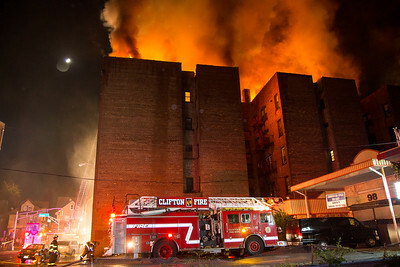 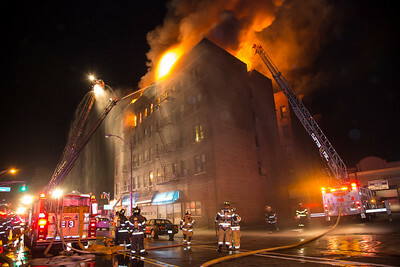 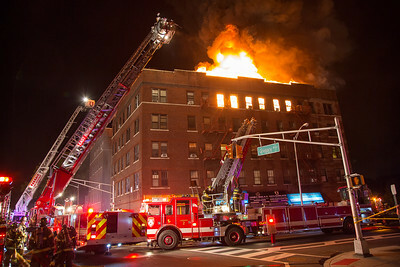 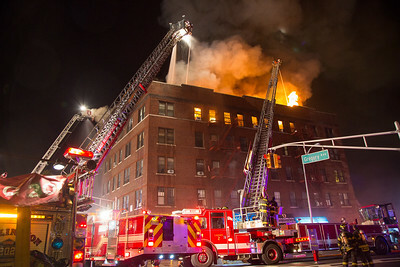 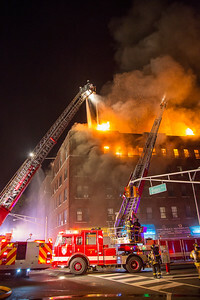 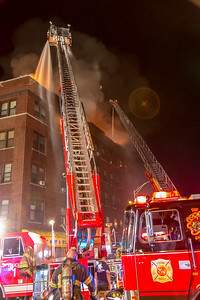 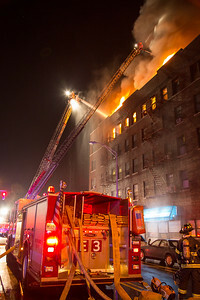 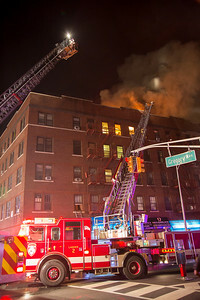 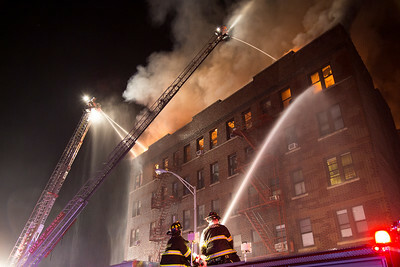 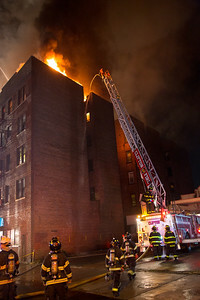 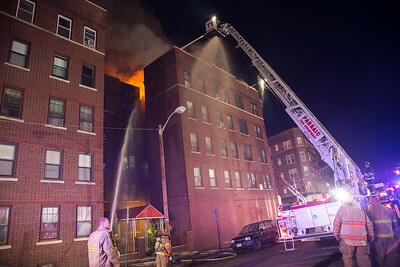 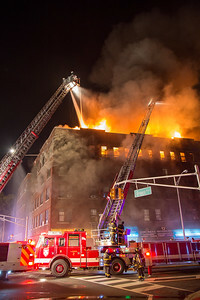 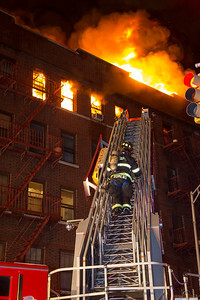 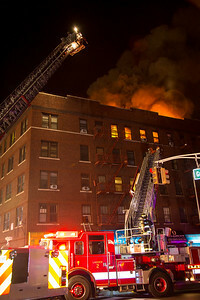 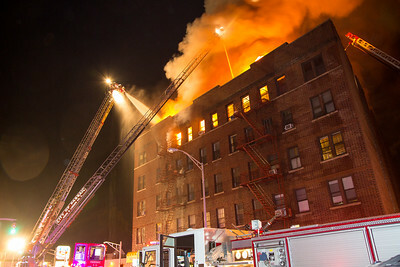 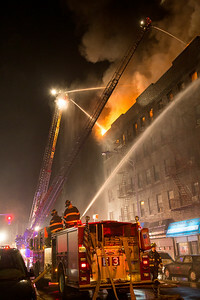 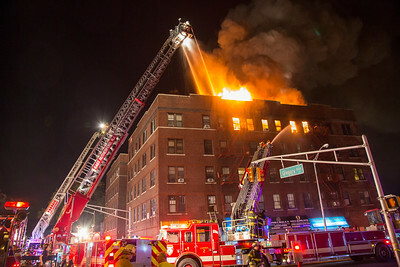 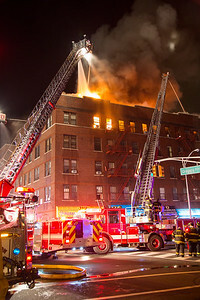 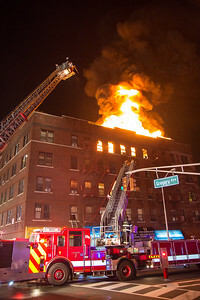 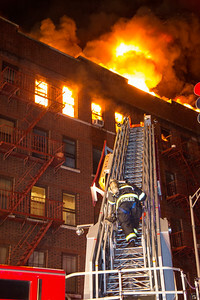 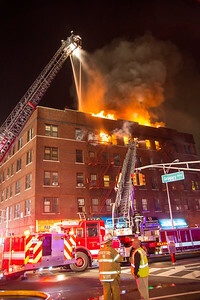 Even with the use of 8 elevated streams, multiple large diameter outside handlines and deck guns operating, the fire eventually spread through out the cockloft and top floor and jumped the throat into the other wing of the building. 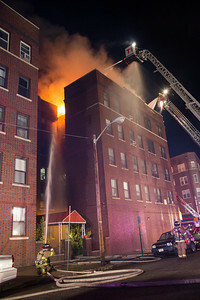 2 firefighters were injured with one transported to the burn unit with non-life threatening injuries but no other injuries were reported. 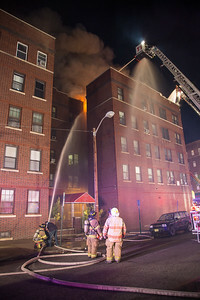 The fire was placed under control at around 02:30 and the building deemed uninhabitable, the cause of the fire is under investigation.